How high are realtors' and lawyers' fees in Nicaragua? What about other property purchase costs? How difficult is the property purchase process in Nicaragua? Foreign Investment Law 344 recognizes foreign investors' rights to own property and to establish business as they wish. Foreigners are allowed 100% ownership with equal rights under the law. 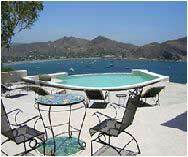 Nicaragua offers extraordinary opportunities in real estate, from elegant colonial houses in Granada, the old colonial city, to the beaches of Tola and San Juan del Sur. Second homes are being snapped up by foreigners, mainly from the United States and Canada. However, real estate practice and the supporting institutions are still underdeveloped. Most purchases are cash transactions with the buyer and seller directly negotiating. However, the lack of clear title on some properties, both urban and rural, is a major consideration for investors. Buyers should exercise great care when purchasing. Because many properties were confiscated illegally in the 1980s, title may be unclear. Properties that have agrarian reform titles, or supplemental titles issued by court order, should be avoided. Beware - determining who exactly is the owner of a property can be very difficult. Even comprehensive title searches sometimes fail to reveal ownership uncertainties. The property purchase process starts with the offer being verbally accepted by the buyer. If a promise of sale is made, there is a non-refundable deposit of 5% to 15% paid to the seller, and a closing timetable is set. The whole process of registering a property can take around 65 days. The legal process begins with a number of checks made by the lawyer. The lawyer requests the Libertad de Gravaman (Free of Lien) document from the Public Registry Office. It should show any impediment to the sale (such as previous promises of sale, mortgages, pending legal cases, etc. ), and the name of the real owner. A new Escritura (or Title Deed) will be drawn up showing the buyer as the new owner. The seller of the property and the buyer of the property will sign this new document and it will be witnessed by the lawyer. The seller should provide his Tax ID Number, Land Registry Certificate, Land Registry Survey, Power of Attorney (if not the property owner, 1% Withholding tax and Verification that all taxes have been paid to date). At the same time the money for the purchase of the property should be transferred from the buyer to the seller. The Cadastral Office will evaluate the property. The buyer will then pay 4% of this assessed value to the Revenue Office. Payment of this Transfer Tax results in the transfer of the property to the buyer's name. In addition, the buyer will pay 0.5% of the assessed value to the Public Registry. Payment of this Registration Fee ensures that the property is registered in the buyer's name. Once the property has been registered in the buyer's name, he is the legal owner. Title insurance is available from First American Title Insurance Company, costing about US$500 for every US$100,000 insured. Registration fee and other related costs are around 1% of the property value. Notary fees are generally around 1.50% to 2% of the property value. How landlord-friendly is the law in Nicaragua?